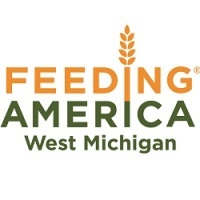 Mission: Serving local families in need since 1981, Feeding America West Michigan reclaims safe surplus food from farmers, manufacturers, distributors and retailers. That food is distributed through a network of 900 food pantries, soup kitchens, shelters and other hunger-relief agencies in 40 counties from the Indiana border through the Upper Peninsula. For more information, visit FeedWM.org.